The kitchen at the Greenspring Valley Colonial is almost complete! There are some amazing finishes going into this house, and the kitchen is filled to the brim with them. 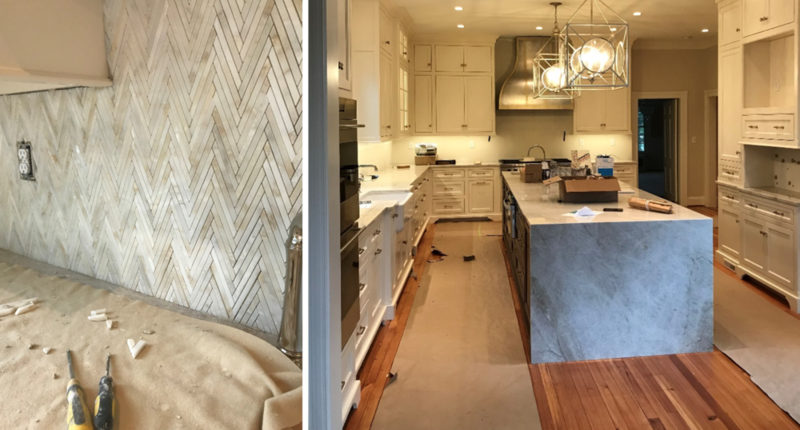 Here’s a sneak peek showing the chevron backsplash, marble waterfall countertop, and custom range hood. We love seeing the design take shape and can’t wait for the homeowners to get to enjoy their new space!